Christopher Columbus is an Italian explorer and colonizer from the 15th century who ‘discovered’ America, although it could more accurately be said that he stumbled upon America while looking for India. This is how the Native Americans were accidently named ‘Indians’. Although other explorers such as the Vikings had discovered America before Christopher, this was the first consistent contact and exploration of the land which ultimately led to colonialization. Our historical costume tutorials are extremely popular so it made sense to add a few more to the blog based on different figures from history. He is one of the most well known explorer to this day, even if many disagree with his actions. In today’s post we’ll be showing you how to put together your own Christopher Columbus costume from scratch for those who want to go the do it yourself route with premade options from different online retailers for those tight on time and/or creativity. So without further ado let’s get into the tutorial. 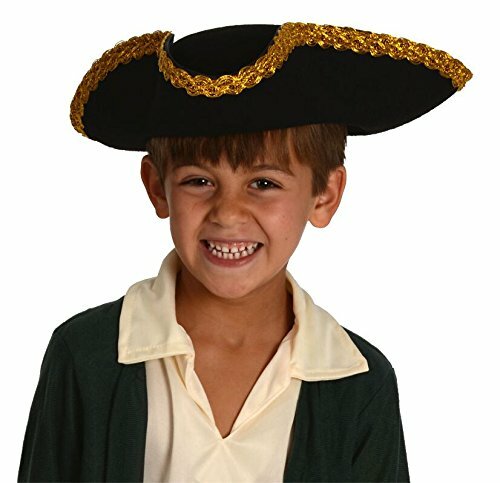 If you’d like to put the outfit together yourself, the first item you’ll need is a tricorn colonial style hat such as the one above from Amazon in sizes for both children and adults. You could also find these for a few dollars at thrift or toy stores. 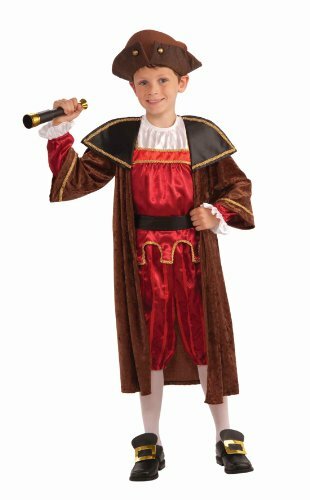 Here is a complete costume for children that is perfect for anyone stuck for time as it includes everything you’ll need: Hat, tunic, jacket and shoe covers. All you’ll need to add is a pair of shoes to go with it. 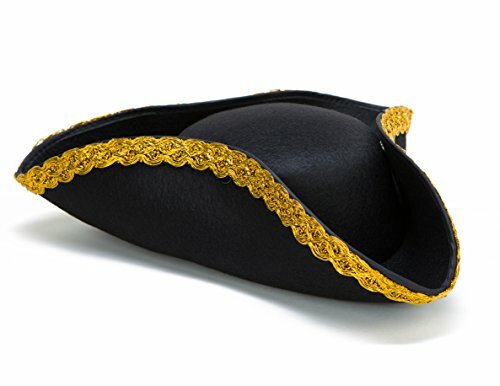 I’ve picked out two options from Amazon and Halloweencostumes.com just in case one goes out of stock during the busy Halloween shopping season, it helps to have a back up (also don’t forget to compare prices). Alternatively put together the outfit yourself with items from the thrift store starting with a red tunic underneath and a brown vintage style coat above, white tights and black boots with golden buckles. It’s not just children who can dress up as famous explorer Christopher Columbus but also adults. Here is a costume for men that includes: hat, coat, shirt, belt, and pants. Shoes are not included and must be bought separately. As we all know Christopher is a traveller known all around the world, and so you’ll need a few props to better portray that role. 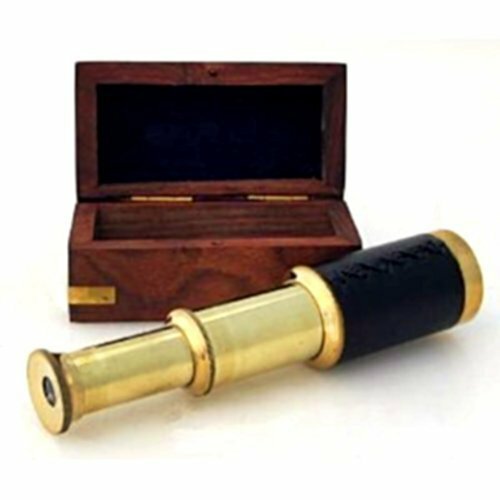 To look far and wide and scope out new territories you’ll need a handheld telescope like the one above that comes with a wooden box. 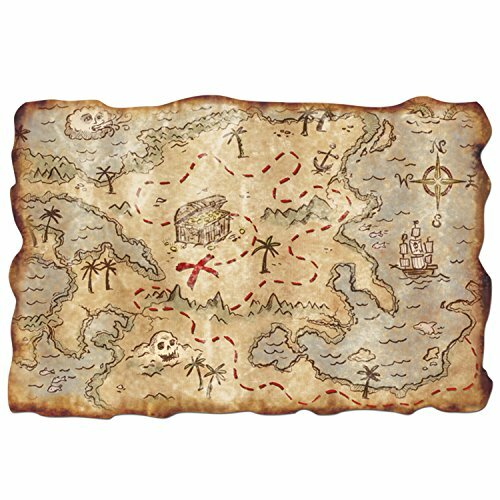 Another item that will come in handy (if you can read it correctly) is a map, check out the toy map above that will do the trick. 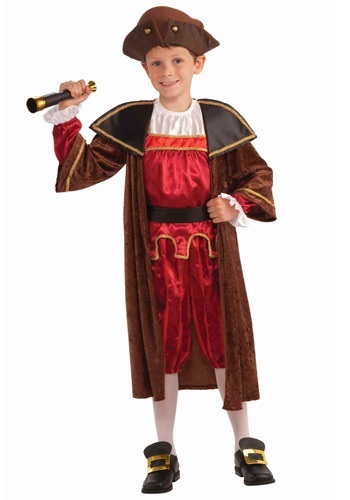 That is everything you’ll need to transform into Christopher Columbus for fancy dress and Halloween. Before you leave be sure to check out the rest of out tutorials and for updates when we publish new posts follow us on social media.